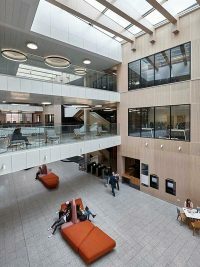 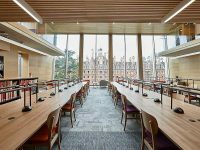 The new Emily Wilding Davison building at Royal Holloway University in London was inaugurated in October 2017 after a 2-year development and building process. 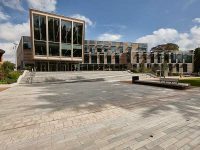 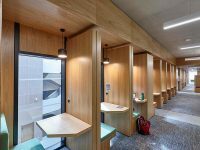 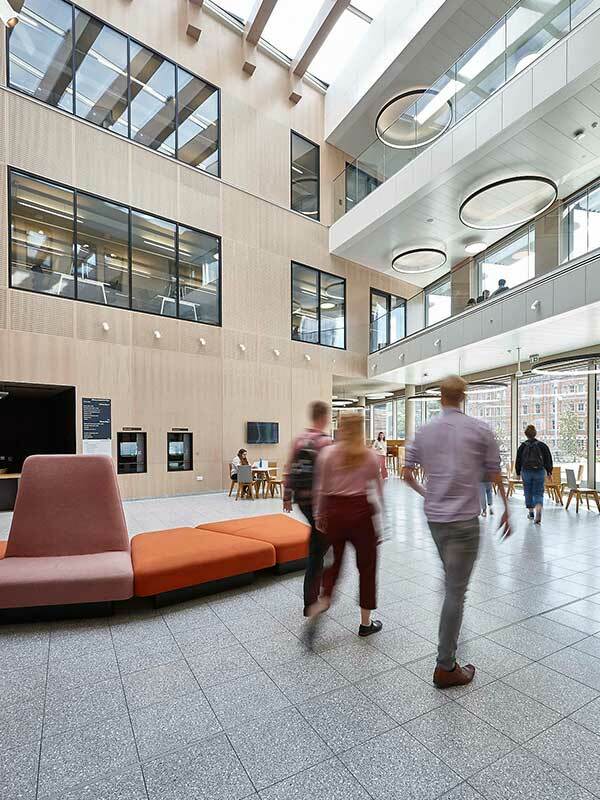 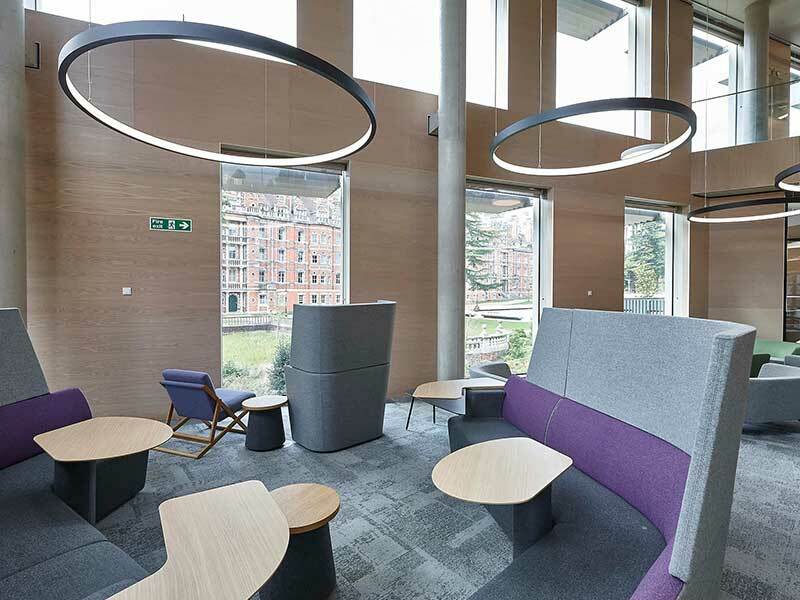 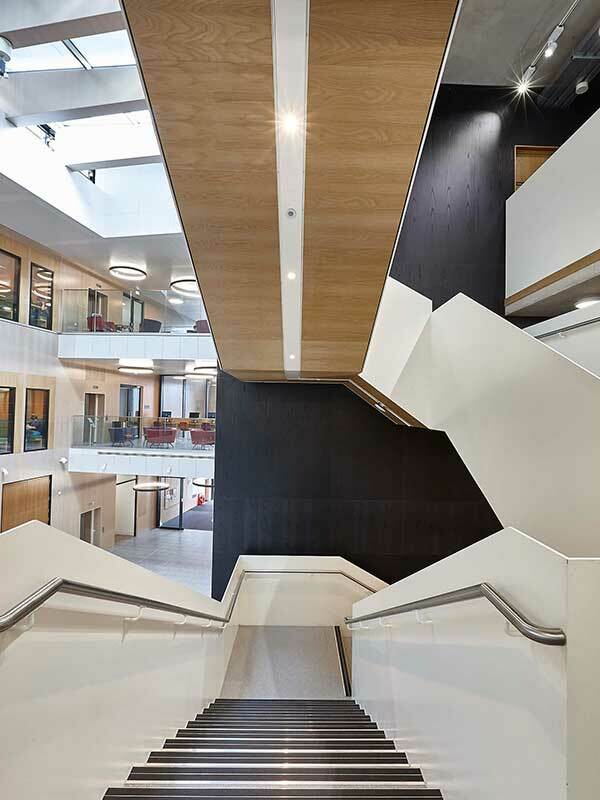 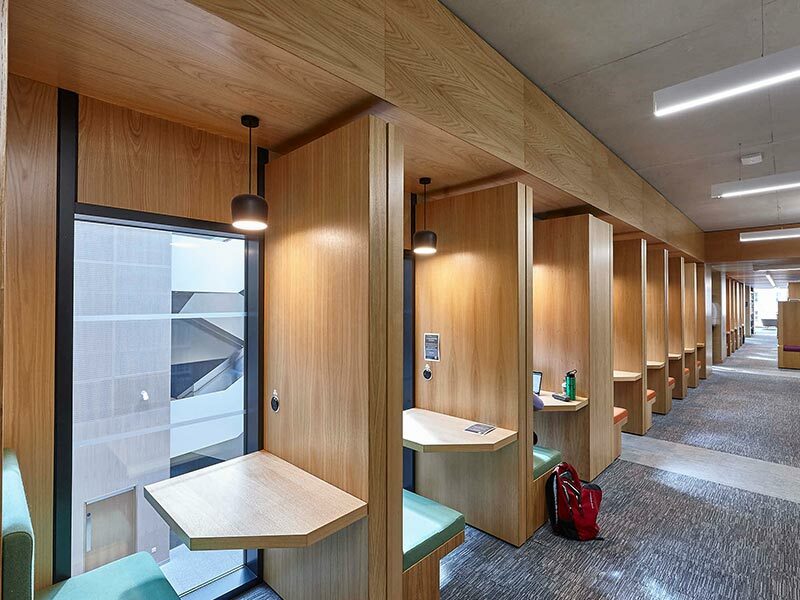 The new University library have achieved a BREEAM excellent rating, and we at Gustafs are delighted to have been part of this striking building. 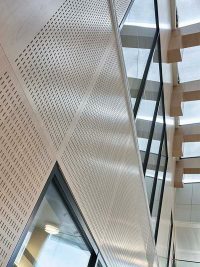 The BREEAM Excellent rating is an acknowledgment that our products contribute to an increased value of a building. 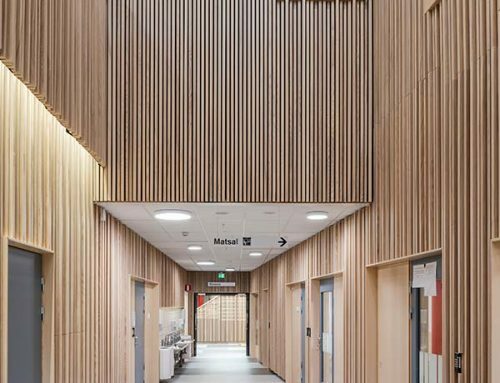 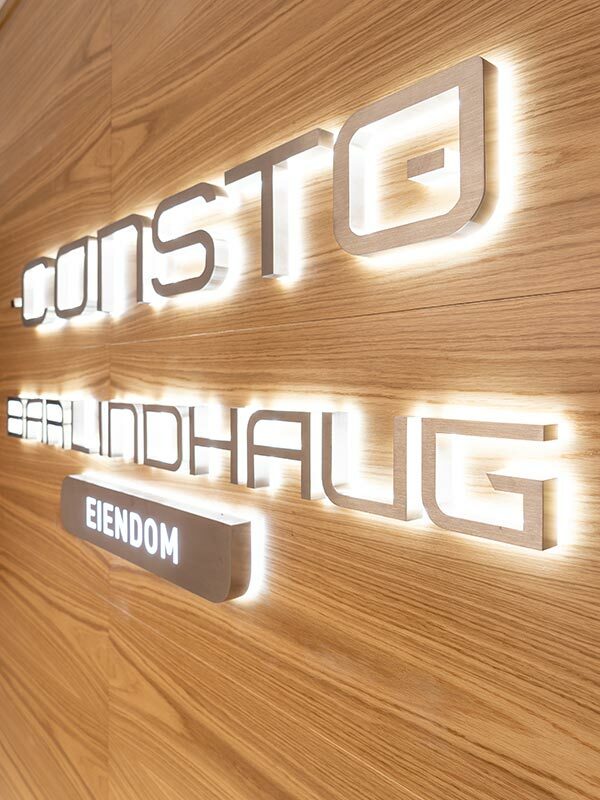 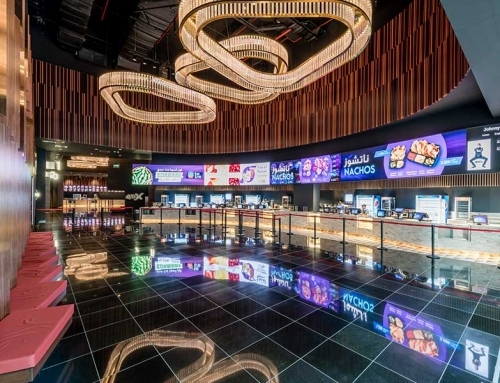 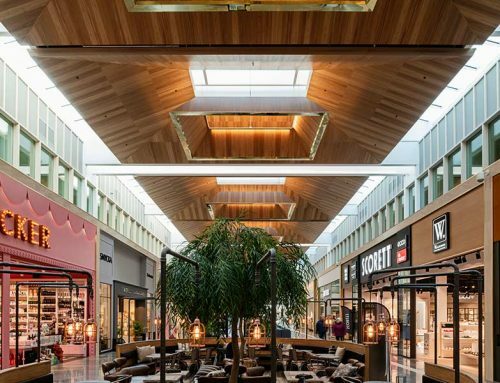 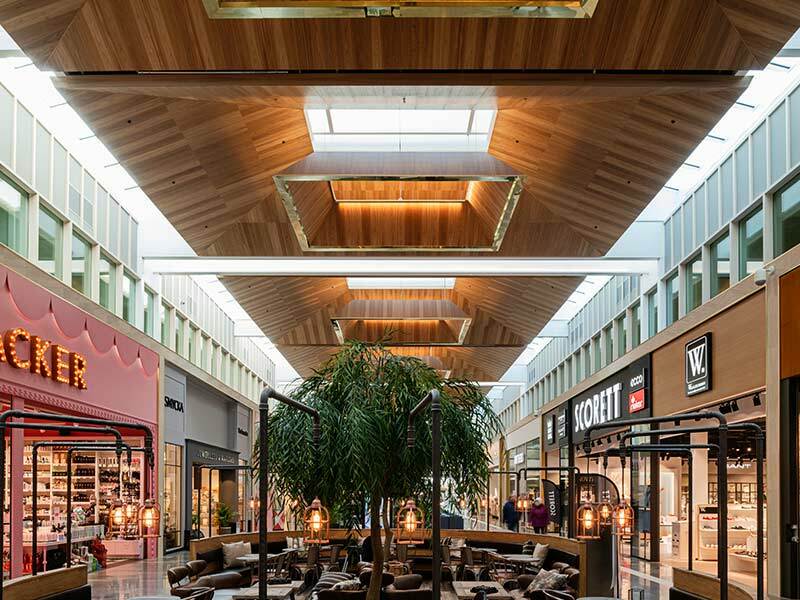 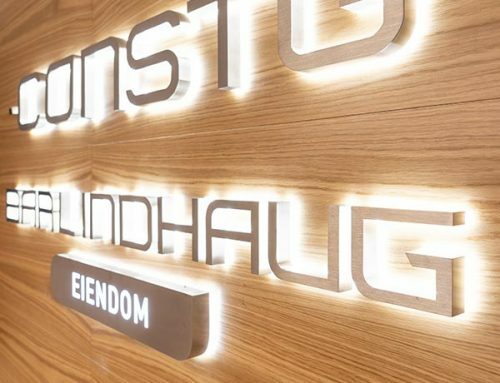 Gustafs in cooperation with our UK partner, LSA Projects, have produced and delivered over 4000 m² interior wall and ceiling cladding panels. 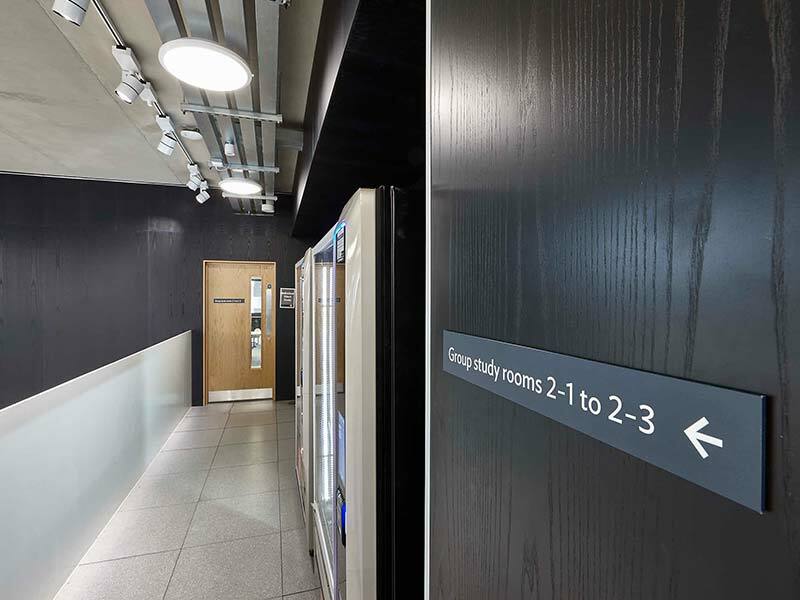 The products that have been used in the Library are plain wooden panels and acoustic panels with 20% white pigmented oak veneer. 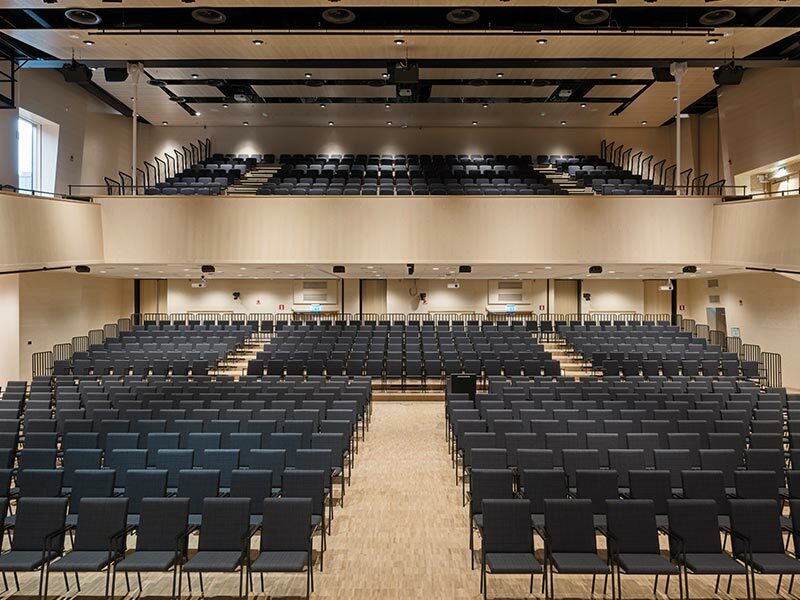 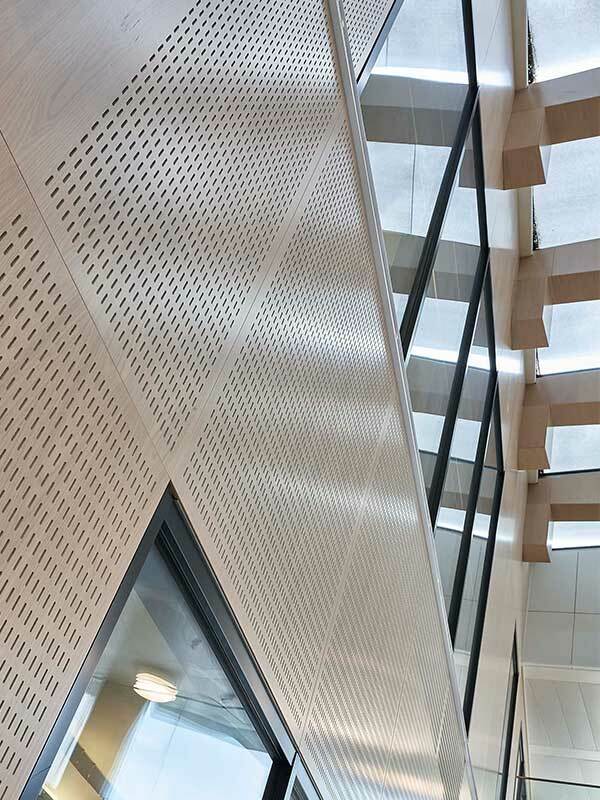 The acoustic panels are perforated with a SM5 perforation. 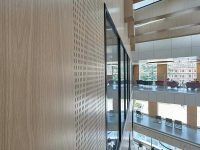 The white pigmented panels are complemented with our oak panels treated with our standard UV coating. 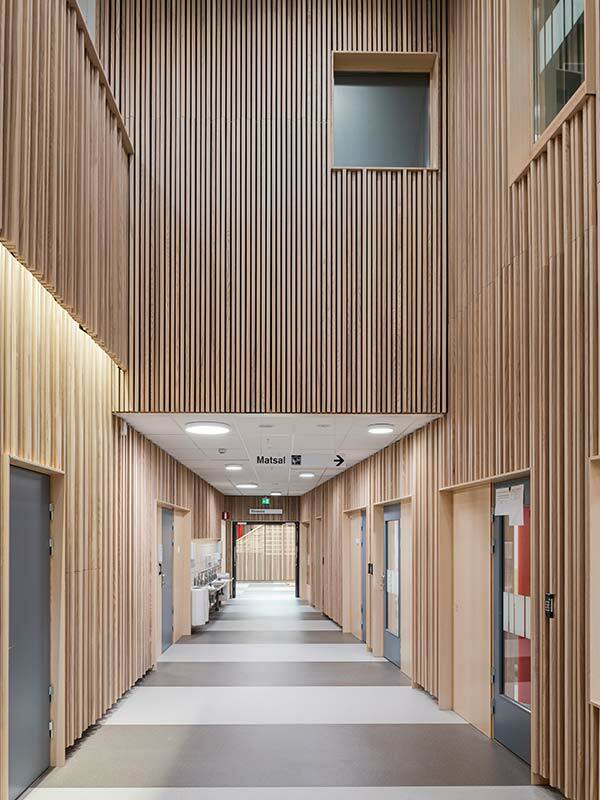 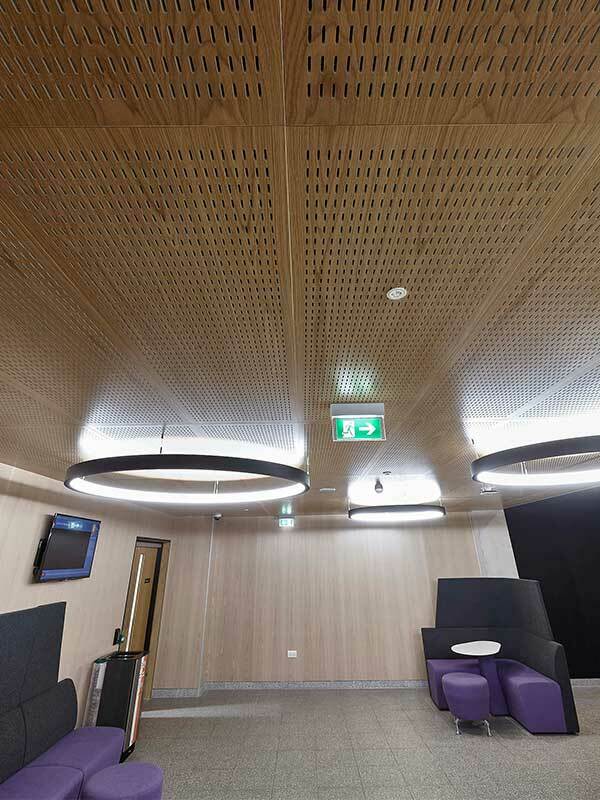 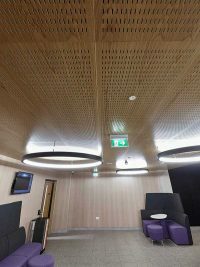 On the ground floor ceiling our acoustic panel with SM5 perforation in standard oak veneer has been installed as well. 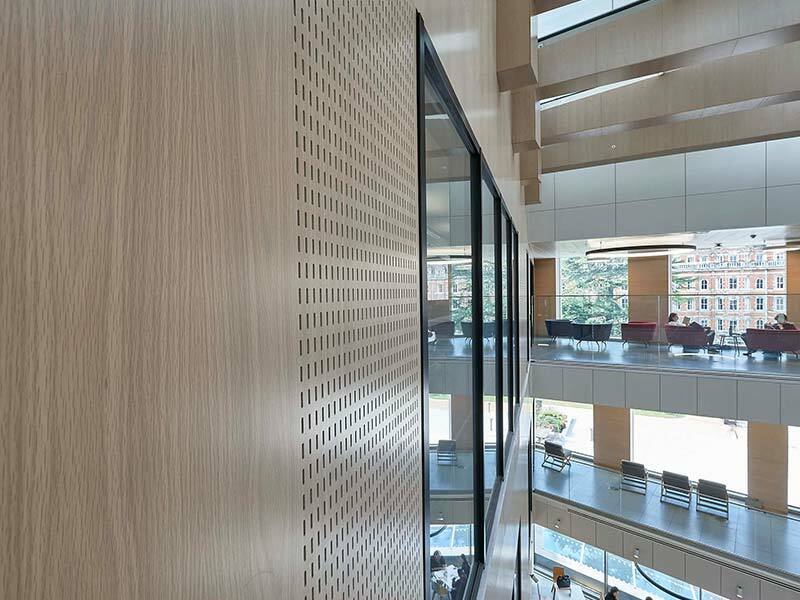 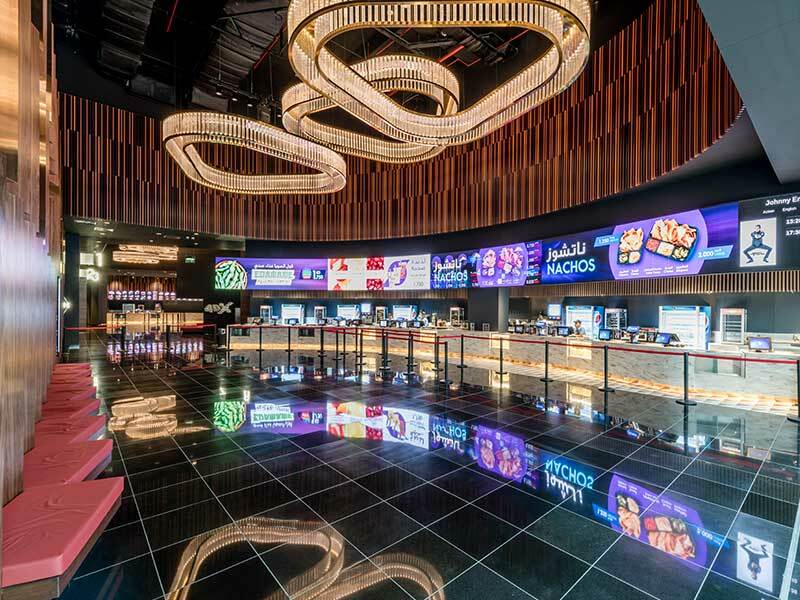 The eye-catching black panels are stained ash panels revealing the wood structure in a beautiful way. 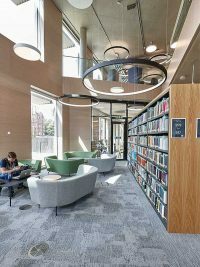 The new library is a result of a must needed expansion when the rise in numbers of students made it inevitable to increase the quality of library and student services. 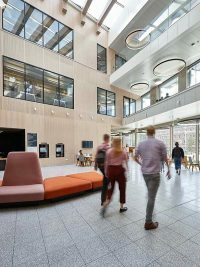 Besides the 400.000 books and 500.000 e-books, the new facilities also include students’ services, event and exhibition spaces, study rooms, café and much more. The new BREEAM Excellent building will support the students during their time at the University.